Mouni Roy is an Indian Television actress, currently a household name for us after her role in "Naagin". Learn more about Mouni Roy's life, wiki, age, biography height caste family details here. Mouni Roy was born on 28th September 1985 (age 33 years; as of November 2018) in Cooch Behar, West Bengal. Her father Anil Roy is a superintendent of the Cooch Behar Zilla Parishad and mother Mukhti Roy was a theatre artist. She also has a younger brother Mukher Roy. According to media reports, she has dated Gaurav Chopra who is a Bigg Boss Contestant (S-10) and Mohit Raina who is appeared in the lead role of Shiva in Devon Ke Dev…Mahadev. Mouni and Gaurav were contestants on the show Pati Patni Aur Woh. Whereas, Mouni and Mohit Raina are extremely private about their relationship status. In an interview to Times of India, Mohit said that "We aren’t getting married this year”. Mouni Roy is 5ft 6inches tall and weighs around 52 kg. She has an hourglass figure with measurements of 34-26-34. She has attractive black eyes and black hair. She did her schooling from Kendriya Vidyalaya in Baburhat, Cooch Behar. Then went to Delhi for higher studies. She took up mass communication at Jamia Milia Islamia at her parents' insistence, but left the course midway and went to Mumbai to try her luck in films. She started her acting career with Kyunki Saas Bhi Kabhi Bahu Thi playing the role of Krishnatulsi. She then participated and won the first season of "Zara Nachke Dikha" along with Karishma Tanna and Jennifer Winget. After that, she appeared as Shivani in the series Kasturi. In 2009, she participated in Pati Patni Aur Woh along with Gaurav Chopra. In 2010, she was seen playing the role of Roop in Do Saheliyaan. In 2011, Mouni did her first Punjabi movie Hero Hitler In Love. Mouni Roy got recognised after her performance in Life OK's mythological series Devon Ke Dev...Mahadev as Sati from 2011 to 2014. In 2015, Mouni made another entry with Ekta Kapoor's supernatural series Naagin playing the role of Shivanya. This Naagin series made her huge fame and Mouni became a household name for all. Mouni hosted many TV shows like So You Think You Can Dance along with Rithvik Dhanjani on &TV. In 2018, Mouni Roy's dream comes true with Bollywood (debut) film Gold in a lead role along with Akshay Kumar. Some of her upcoming movies are Romeo Akbar Walter, Brahmastra and Made in China. According to sources, she was done surgery to accentuate her lips. However, Mouni Roy denied any such reports. Mouni Roy rumoured to be in a relationship with Gaurav Chopra, however, they are currently separated. She is a well-trained Kathak and Ballerina dancer. Apart from dancing and acting, she loves to read Novels. 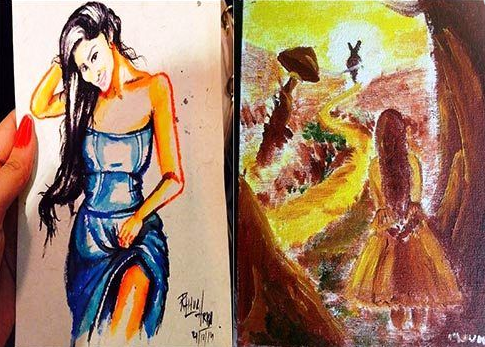 She also loves to paint in her spare time. During her college days, she worked as a dance choreographer. 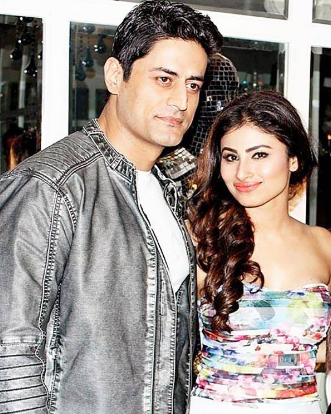 In the set of "Devon Ka Dev... Mahadev" Mohit Raina and Mouni fell in love with each other. They started dating each other and going to marry soon (date not announced).